This luxurious wall mounted makeup mirror is made of high-quality brass with an option of four uniquely beautiful finishes; chrome, gold, chrome and gold, or satin nickel. 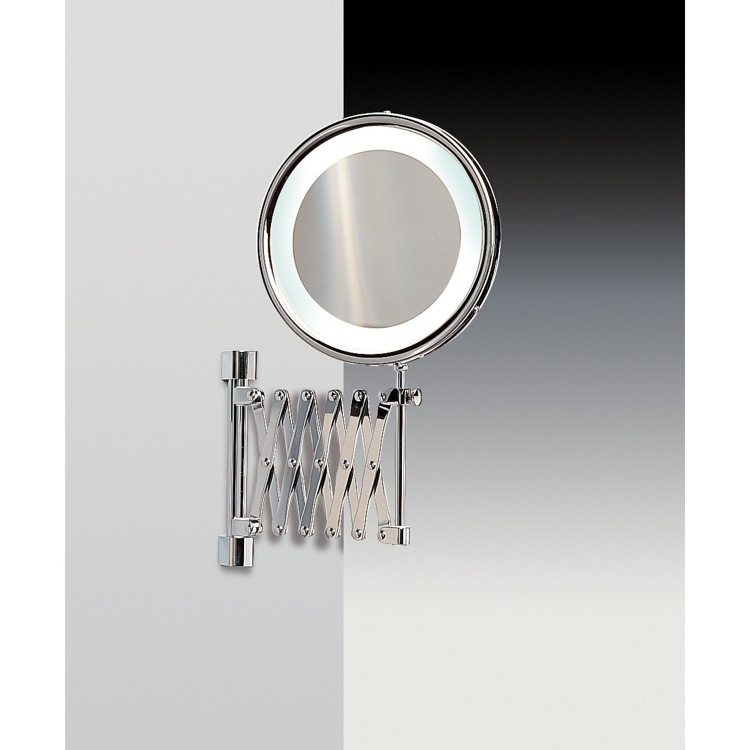 Perfect for contemporary or modern bathrooms, it features incredibly useful built in LED lights, a single face, and an accordion styled extendable arm. The modern look and feel of the round design, along with either 3x or 5x magnification, instantly adds style to any bathroom.